Guo Liang Chen was a big winner in Atlantic City, claiming the WPT Borgata Poker Open Main Event title, outlasting a massive field of 1,132 entries in this $3,500 buy-in tournament. It was his first career World Poker Tour victory. Beyond the money, Chen is now a member of the exclusive WPT Champions Club that includes legendary pros such as Mike Sexton, Daniel Negreanu, and Phil Ivey. The Chinese poker player only had $15,000 in career live tournament winnings prior to this event. But he can now claim to have something the great Phil Hellmuth lacks: a WPT title. 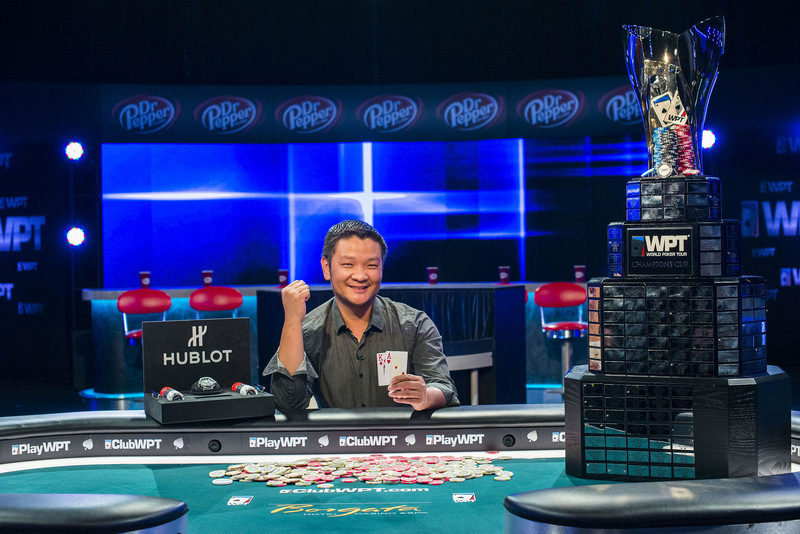 With his title, Chen received an entry into the season ending $15,000 buy-in WPT Tournament of Champions next spring, a Hublot Big Band steel watch, and a $5,000 membership to JetSmarter. His last cash came in 2016 in a $160 buy-in Asia Poker Tour event. Chen won the tournament for $4,452, a stark contrast from what he won this past weekend. The final table was live streamed online at WPT.com and will be televised on Fox Sports, hosted by Tony Dunst and Vince Van Patten, at an undetermined future date. Check your local listings. 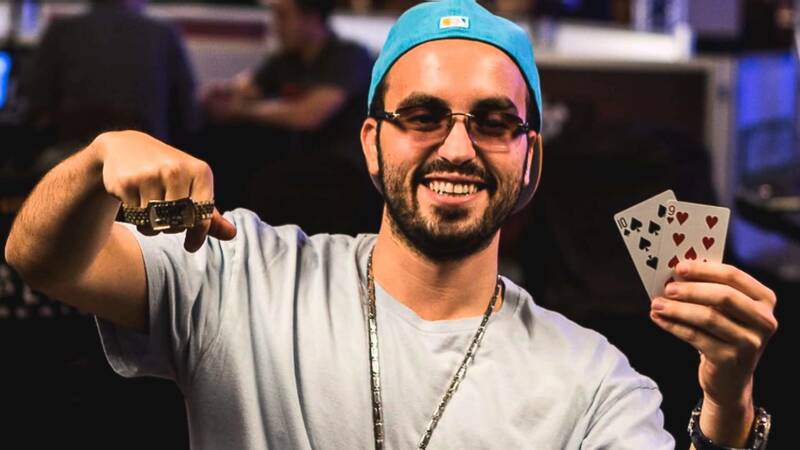 Cliff “JohnnyBax” Josephy, an internet poker legend, has come close to winning a few major live events in recent years. He had another opportunity this past weekend in Atlantic City, but came up a bit short. The New Yorker busted out in 5th place ($199,294) and now has over $7 million in lifetime live tournament winnings. But it was his third career WPT Main Event final table without winning a title. He did, however, win a $5,000 buy-in side event at the WPT Five Diamond Classic at Bellagio in Las Vegas in 2016 for $163,250. His greatest accomplishment as a live player came in 2016 at the WSOP Main Event. He was the favorite heading into the final table with the chip lead and more experience than anyone else at the table. But he flopped a weaker set than Gordon Vayo, the eventual runner-up, in a massive pot three-handed and was eliminated in 3rd place for $3.4 million, the biggest score of his career. Weber, the eventual runner-up, eliminated Josephy and Parry to get the tournament down to its final three players. On the 156th hand at the final table, Chen busted Liu in 3rd place, setting up a heads-up match with Weber, nearly a 2-1 chip leader, for the title. Weber got caught bluffing in a big pot on the 15th hand of heads-up play. Just 12 hands later, 10 of which were won by the champion, it was all over.